Police in Belgium's capital city, Brussels arrested 16 terror suspects in 22 raids Monday, but top Paris massacre suspect Salah Abdeslam still remains at large. Brussels' subway system and schools are closed as wary residents face a third day of lockdown. 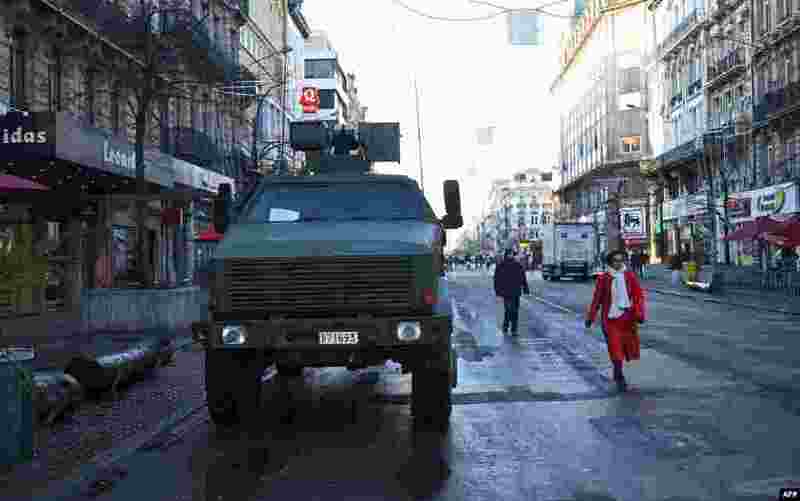 1 People walk past an armoured personnel carrier in Brussels as the Belgian capital remains on the highest possible alert level. 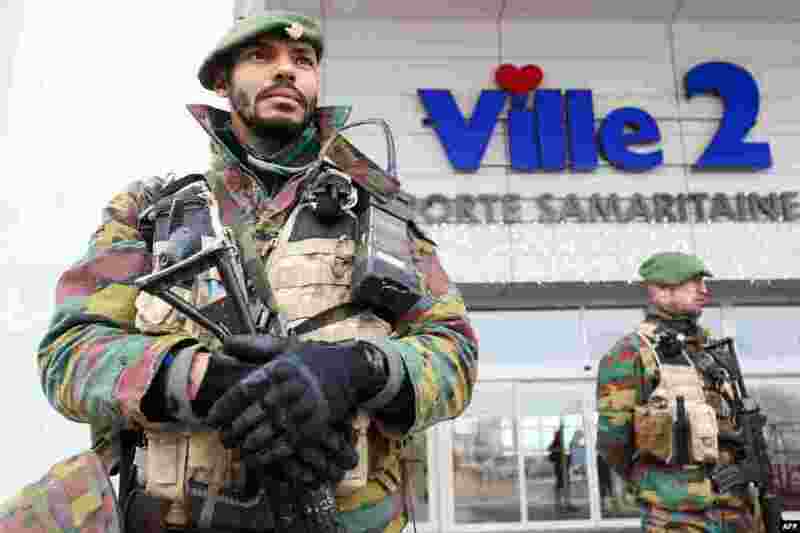 2 Belgian troops take position outside a commercial centre in Charleroi. 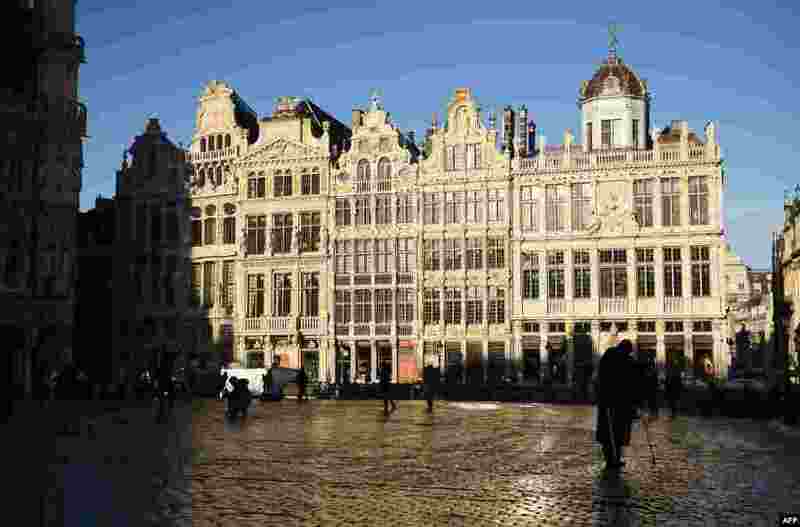 3 People walk at an almost empty Grand Place central square in Brussels, Nov. 23, 2015. 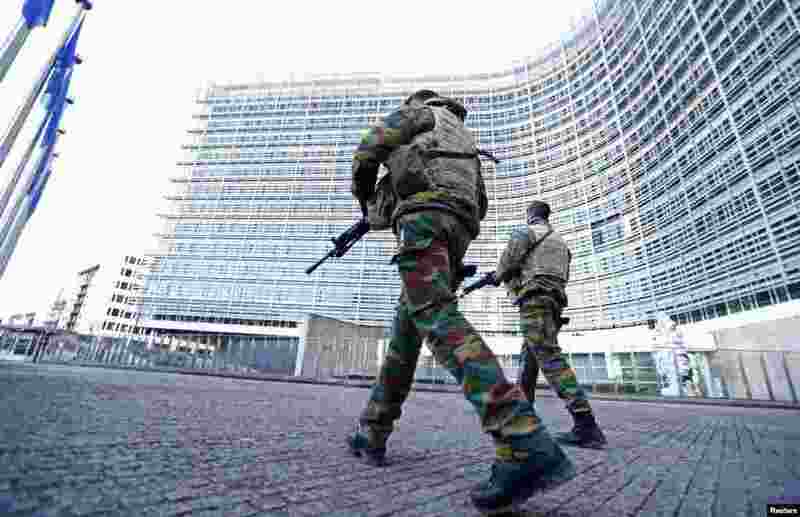 4 Belgian soldiers patrol outside the European Commission headquarters as police searched the area during a continued high level of security following the recent deadly Paris attacks, in Brussels.